I have been wanting to draw Tanjong Pagar railway station for a while, so after the rain stopped early in the morning, I parked in the car park in front of the old building to find the area completely surrounded by fencing. I asked a car park attendant if there was a way in, but as we did not have a language in common, I resorted to doodling from Raeburn Road. Not entirely satisfactory, but at least I have a memory of the art deco building before it is turned into another lovely shopping centre. I then drove about half a kilometre north and found an HDB car park from where I roamed the streets looking for a few more shophouses to add to my sketch collection. 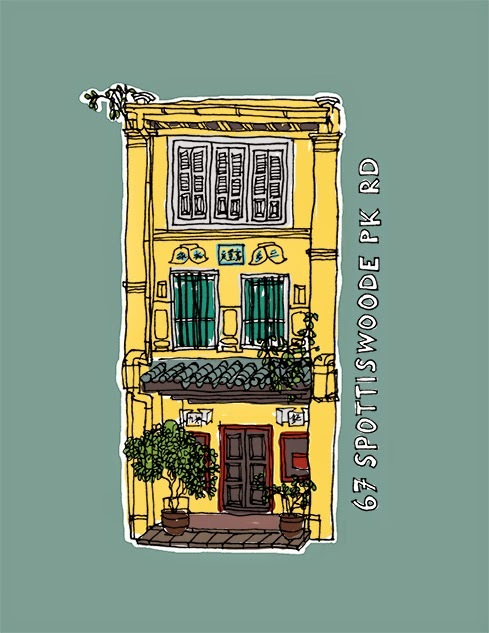 I found an interesting house in Spottiswoode Park Rd, but there were road works directly opposite, so I sat at a table and sketched the house next door. The smell from the restaurant dustbins was pretty strong and the arrival of the local dustbin lorry did not exactly improve the aroma in the street. This was all too much for a group of whimpy tourists who held their noses as they gagged and performed mock dry-heaves through the pungent mist. 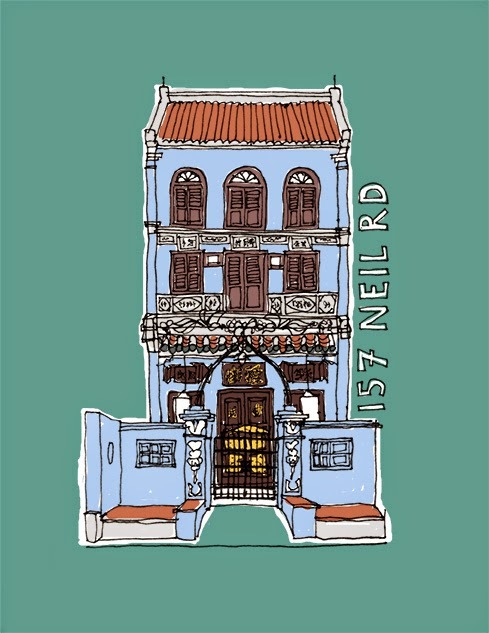 Moving to fresher surroundings, I sat cross-legged on the pavement opposite the rather garish Baba house on Neil Road. The decorations are some of the finest in Singapore with plenty of tiled figures, friezes, gilding, plaster decorations and scrolls. Fortunately the satnav remembered where I'd parked the car so I wandered back soaked in sweat, thirsty and hungry but content with my day's scribblings. That evening, Mrs M and I were treated to some superb home Jamaican cooking washed down with lashings of 'grave-digger' rum. OP! Nice to hear from you again. How are things in Oman? By the way, have you got a traditional halwa recipe? My helwa is terrible! lol. It takes a lot of tries to make the perfect one... Most people don't make it at home. I have tried but failed miserably. The halwa recipe worked well although it was not firm enough. I reheated it and added a bit more tapioca flour which has set it nicely.